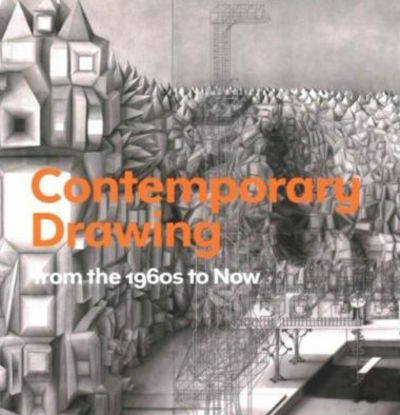 Contemporary Drawing From The 1960s To Now, by Katharine Stout, is "the first comprehensive account of drawing in contemporary art practice from the 1960s to the present day." Stout begins with some historical context, noting that Giorgio Vasari regarded drawing as the progenitor of sculpture, architecture, and painting. She also cites Marcel Duchamp's LHOOQ and Robert Rauschenberg's Erased de Kooning Drawing as examples of "the way in which artists have used it to enact some of the most transgressive moments in twentieth-century art." There are ten thematic chapters, each dealing with different forms of drawing, ranging from "the non-representational line as a subject and material means of making drawing" to "drawing that is temporal, either because it is enacted during a live performance, realised in a peripatetic manner, or takes the form of an architectural intervention". Richard Kenin's The Art Of Drawing (1974) covered drawing from the Renaissance to Impressionism, with illustrations mainly from the British Museum. Andrew Graham-Dixon's BBC2 series The Secret Of Drawing (2005) was a potted history of artistic and technical drawing.